Sometimes, life pushes us on a road we were not planning to take. A plan B can be useful, but plan A is always what our dreams are made of. In Cynthia Mascitto’s dream, she was wearing a red and white speed skating skinsuit with a maple leaf on it. Since last season, her battle armour is now green, white and red. Even though I have been following the short track speed skating scene more carefully in the last seven years, I never had the opportunity to meet Cynthia Mascitto. Her name kept popping during discussions about future stars of short track in Canada, but our path never crossed. It’s in a small café in Terrebonne, Qc, Canada that I met with the newest member of team Italy. From the get go, you get the feeling that Mascitto is a confident and driven young woman. She does not take short cuts or sugarcoats things. She tells things like they are. At twenty-four, she has now been skating for twenty years. 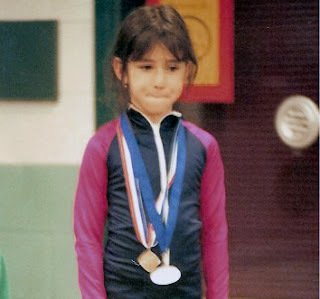 During all these years, she has never questioned her love of the sport even if injuries made things tougher at times. She started skating when she was four years old in Laval, Quebec and at eighteen she joined the Montreal-Inter Club which is now the RTC. For many years as a kid she also played tennis and soccer, but at the age of fifteen she had to quit soccer and focus only on speed skating due to knee problems. Even if it would not have been for this injury, fifteen is often the age when a choice has to be made for young athletes wanting to succeed. 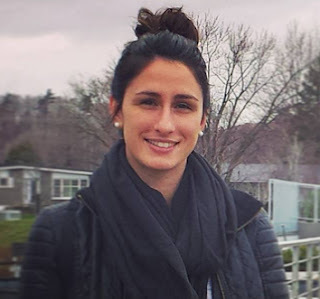 For Cynthia Mascitto, it was clear that skating would get all her attention. For all these years training hard and competing, one thing was on her mind: representing Canada on the world stage, but timing and the politic of sports got in the way. At twenty-three, for the first time of her career, being pushed out of her spot on the canadian roster based on reasons other than results, left a bad taste in her mouth. Unsure about her next step, Mascitto reached out to her good friend, italian superstar Arianna Fontana, for advice. She was thinking about retiring, a thought that had never crossed her mind before. A few days after their discussion, Fontana came back with a suggestion. She had talked with the italian coach and if Cynthia was ready to make the move, Italy was open to welcome her. Since both her parents are italian, getting her citizenship was fast and she joined team Italy. This decision was not an easy one to make. Leaving the country meant leaving friends and family behind. It also meant leaving coaches Sylvain and Marc Gagnon even though they were both convinced they could still help her win her place on team Canada. They totally understood that she was contemplating this opportunity and were both really supportive of her decision. They agreed she deserved to skate against the bests. 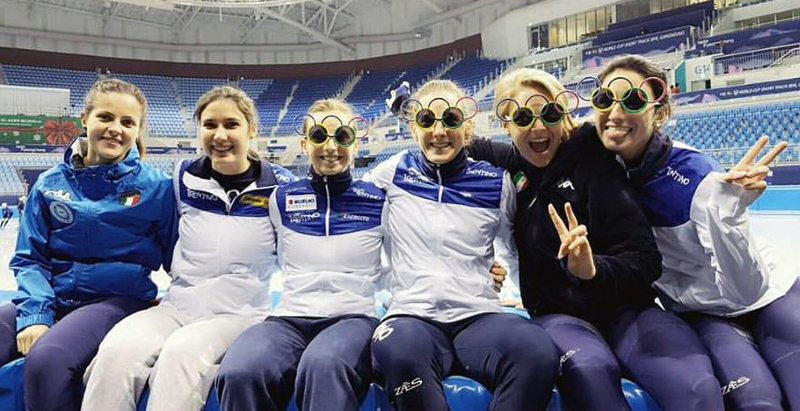 Even though she is sociable and was already friend with Arianna Fontana, Mascitto’s plan when joining team Italy was clear: staying low profile, humble, letting her hardworking routine and her results do the talking. She was well aware that joining Italy’s national team meant taking someone else’s place, but she was focused on being a good teammate and proving Italy they would not regret welcoming her. Fast enough, she gave them reasons to be happy. 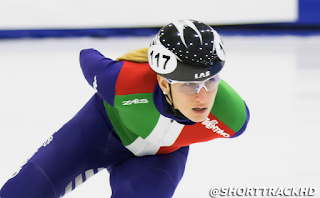 At the first World Cup event of the season in Calgary, she finished 13th on 1000m, the highest placement for Italy on the distance during that event. Things did not go as well a week later in Salt Lake City, but the Shangaï leg of the World Cup circuit saw her finish 19th on 500m and 12th on 1000m. 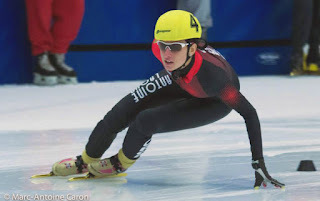 In Dresden, the 5th event of the season, she completed the weekend with the 14th spot on the second 1500m of the competition and finished 2nd of the the B Final on 1000m. In Minsk at the last leg of the World Cup season, she crowned a great first season skating for Italy by winning the bronze medal on 1000m. Even though some lucky bounces helped her get the bronze, this podium still proved herself, team Italy and let's be frank team Canada, that she does have what it takes to shine. As I was done with my questions, I left my voice recorder running while we chatted for a few more minutes. I am glad I did. Like I told you in the beginning, Mascitto is driven and she does not sugarcoats things. She works hard to do her best. Based on how well she represented the country of her ancestors last season, we can not talk about plan B anymore. Her move is turning into a dream that proves she is fit to skate amongst the bests in the world. Life always gets his way, we just have to seize the day, roll with the punches when needed and make this our new plan A. That is exactly what Cynthia Mascitto is doing.